It's always unfortunate to get locked out of your car. Almost everyone has been caught in this situation and almost every time you are rendered helpless. Being locked out of your car can becomes even more disappointing when you to have to reach an important meeting or any other such appointment. Even if you are not in a hurry and even when the weather is pleasant, you would still want to get out of this sticky situation as early as possible. You can ask someone in your family to bring you a spare key but that can take a while. Your best bet in such a situation is to call an automotive locksmith and if you are in the Pompano Beach area, then there’s no one better than us! Our team of local locksmiths will be at your disposal in 15-20 minutes or even faster if they are already on the road. 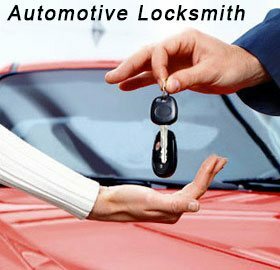 An automotive locksmith can also be needed for reasons other than a lockout. Ignition keys or locks can sometimes wear out and it is way cheaper to call a locksmith than to call your car dealer for repairs. Sometimes, you might not be able to unlock a trunk because you have used the wrong key and broke the lock or it’s simply jammed because of wear and tear. 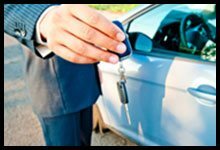 Our experienced auto locksmiths will help you regain access to your vehicle and they have the right equipment to deal with any situation. Our mobile vans have all the latest equipment and if you want new keys, our technicians will make them on the spot. Keys for new and old models, special transponder keys, or even lock repair, our experts can handle everything! If you have lost your keys and don’t have a spare set of keys then it can be big hassle for you. Misplaced or lost keys are almost never found again and getting access to your car becomes impossible without outside help. 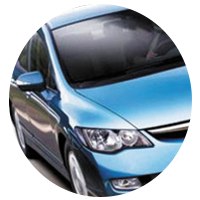 Our auto locksmiths can help you gain access as well as make new car keys for your vehicle. Most modern cars today have keyless access. To make or repair such keys a person needs a certain level of computer programming knowledge and technical know-how. 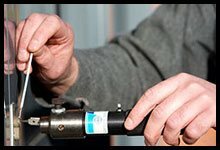 Our locksmiths are equipped with the right equipment and knowledge and can make any kind of key in less than 30 minutes once they reach the spot. Vehicle owners experience issues with their locks and keys often, and our specialists have had many opportunities to assist with rekeying and freeing up locked ignitions to help customers on their way. That amounts to a lot of experience over time. 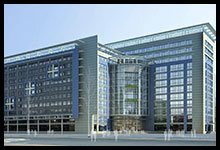 Using this experience, they are in a position to solve your queries quickly and reliably. Even for rudimentary tasks like unlocking a trunk, they follow the highest level of professionalism and treat every situation as if it were an emergency for the customers. 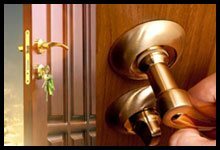 Our response times are the best in the locksmith services industry and our competitors have been trying for years to reach the levels of excellence that we have set. So whenever you are in need of an automotive locksmith in Pompano Beach, FL, call us @ 954-283-5224 and get in touch with our team who will guide you on all your needs.